Jason Kravitz (Brussels, Belgium) on 6 March 2005 in People & Portrait. 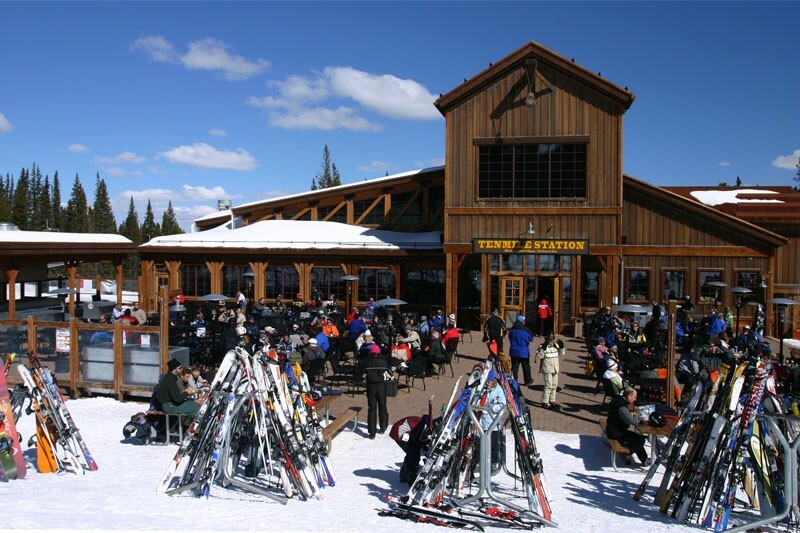 Located at the top of one of the lifts at Breckenridge, Tenmile station was a good place to get some buffalo chili (which can be dangerous on the digestive tract of certain people). Tha colors in this pic just pop! I see you were using the old 300D ... did you do any adjustment in PS? Great shot. I was using my 17-40mm lens with polarizing filter... I brought the 300D because I was carrying it in my pocket while I skied and the 300D is lighter than the 20D. It was kind of bulky - I kept the 300D without a lens in one pocket and the lens in the other pocket - I was hoping I would not fall on either one! Man, you're brave to be skiing around with the 300D and a lens in your pocket. Nice shot, in France we have same kind of restaurant but we can't eat chili, more traditional french meals.